Once again I have to apologize for neglecting this blog. In any case, here's an interim post about the boat I'm working on: a Geodesic Airolite Classic 14. 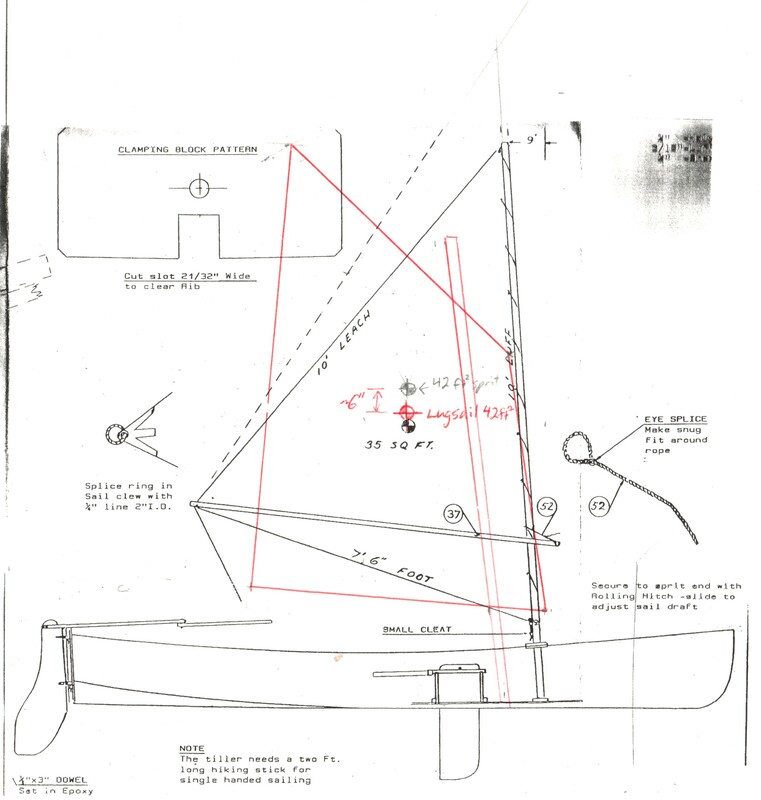 The Geodesic Airolite line of boats were designed by the late Platt Monfortt, based upon observation of airplane construction methods. The distinguishing features are a very light wooden frame, a heat-shrunk dacron skin and diagonal kevlar roving. These combine to produce an incredibly lightweight and aesthetically pleasing boat what is surprisingly robust. For plans and a list of their boats, see the company's website here. A few years ago I built a Snowshoe 14 canoe from a Geodesic Airolite kit and it turned out wonderfully. Pics here. I wanted a sailboat that I could cartop and launch single-handedly and the Classic 14 appears to fit the bill. It is modelled on a New York Whitehall boat and the specs list the weight at 54 lb for a 14 foot long boat with a 48.5 inch beam. The first step is to cut out and mount stations to act as forms for the construction. You can see my airolite canoe hanging from the ceiling. The longitudinal stringers are ripped from structural lumber and clamped to the stations. The clamps shown are made from slices of ABS pipe. The notches for the stringers in the transom are cut to fit due to the compound angle. The stringers are left oversize to be cut to length after the epoxy dries. This is much easier than the double-ended canoe which required compound cuts to fit each stringer exactly to length. The ribs are next installed. These are steamed to help bend them to shape. The steaming rig I used is just 2" ABS pipe connected to a coffee can with some aluminum foil and heated with a hotplate. Others suggest a more complex setup with insulation, etc, but this worked fine. I had a failure on the connection between gunwale and transom, so I beefed it up a bit, which required a bit more complicated clamping than usual. Here's a shot of the boat just after it came off the stations. This is where I broke the transom-gunwale joint as it wasn't strong enough to carry around without the inwales and seats installed. Note the daggerboard slot. Frame faired and sealed. Next step is applying kevlar. A sailboat also requires two foils: a daggerboard to resist sideways motion and a rudder to control direction. I made mine out of laminated plywood with an elipsical leading edge. This photo shows initial shaping of the leading edge. I did rough shaping with a power plane, followed by hand plane and sandpaper. Filling some voids after shaping the trailing edge. I covered the daggerboard with one layer of unidirectional fiberglass. But not before dropping the epoxy-coated board in a pile of shavings. Thanks for the great pictures and tips (ABS clamps etc.). I am thinking of making the classic 10 for my son's 10th birthday. Looks like you are happy with the outcome to say you have made a second one! Looking forward to seeing the final product.